It is exciting when CFHI finds a partner so well aligned with its values of addressing broad determinants of health, engaging communities to help themselves, and strengthening local capacity for health care and community activation. The Kigezi Healthcare Foundation (KIHEFO), a non-profit organization operating in Kabale, Uganda, is fighting disease, poverty, and ignorance by creating “An Activated Community.” In partnership with KIHEFO, CFHI’s new Uganda programs HIV & Maternal/Child Health and Nutrition, Food Security & Sustainable Agriculture offer students from all academic backgrounds a firsthand learning experience addressing health, poverty, and education. 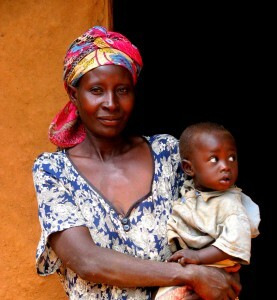 Uganda is a country in Sub-Saharan East Africa facing many serious health problems and challenges, including high rates of maternal mortality (only 30% of women give birth in a health facility), HIV and child malnutrition. There is a shortage of medical professionals working in Uganda, along with equipment and medications. With the majority of the population living in rural villages and earning around less than $2 a day while subsistence farming, access to healthcare services is a severe challenge. KIHEFO’s mission is to fight disease, poverty and ignorance in an integrated, sustainable manner. This means not only delivering healthcare, but helping communities deliver themselves out of poverty and reducing the problems causing sickness and disease. The team is large, “an activated community” made up of staff, former-patients and supporters worldwide mobilizing their communities for improved health and economic well-being. Through CFHI, students from all academic backgrounds and levels have the opportunity to work closely to learn first-hand about child and maternal health, HIV, malnutrition prevention and rehabilitation, food security, sustainable agriculture, empowerment of women’s groups, micro-credit savings and community mobilization. Students observe and learn from healthcare professionals working at the General Clinic, at the HIV/AIDS Clinic learn from counselors and former HIV positive patients about testing and counseling HIV+ patients, and participate in a monthly HIV outreach. At the Nutrition & Rehabilitation Centre, students learn from social workers and nurses about preventing and rehabilitating malnourished children, and participate in nutrition assessments to measure patient’s growth and progress. Additionally, students learn about sustainable agriculture practices, including permaculture, and the importance of crop diversification and growing food closer to home. KIHEFO believes there is no single cause of disease, much like there is no single solution. Mirroring the CFHI approach they believe initiatives must be integrated, community-based and sustainable. Join CFHI’s Uganda Programs to learn from the people behind the “community activated” model for improving health and livelihoods. This entry was posted in Global Health Education, Global Health Elective, Public Health and tagged activated community, Africa, cfhi, CFHI KIHEFO partnership, child family health international, clinical rotations, community empowerment, crop diversification, East Africa, food security, Global Health Education, HIV outreach, hiv testing, HIV/AIDS in Uganda, international volunteer, KIHEFO, malnourished children, maternal and child health, nurses, permaculture, social workers, southwestern Uganda, sustainable agriculture, Uganda on October 29, 2013 by Jessica Evert, MD.